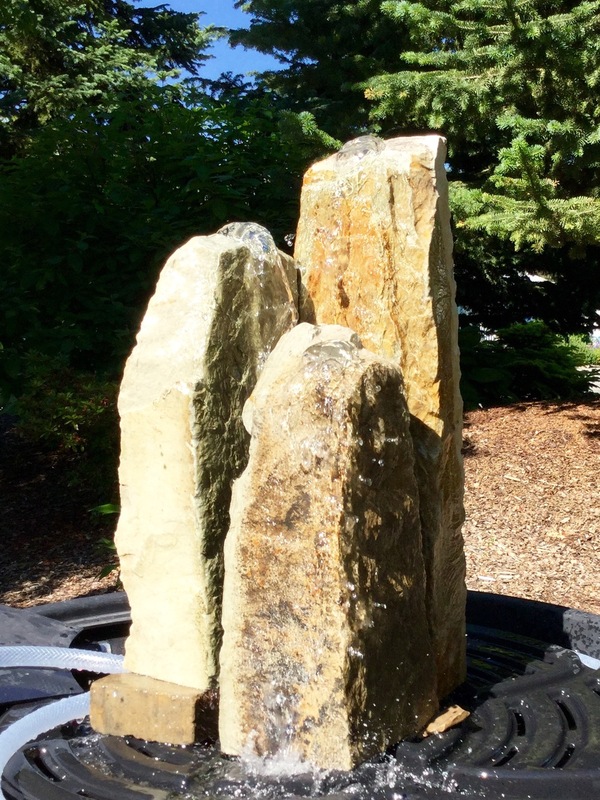 Each fountain, bird bath or sculpture is custom created using unique and varied types of natural stones. Every rock is hand-picked and designed into a one of a kind piece of art just waiting for the perfect home. All fountains are plumbed with copper plumbing , while bird baths and sculpture are pinned together with stainless rods. All are available with professional delivery and installation.